How old do you think Bruce Wayne is? View Poll Results: How old is Bruce Wayne? Re: 4 robins idea - Damien got retconned into a clone-baby, so Bruce can be both young and an old dad. Because this poll is "in-universe" and from that POV, the universe has always been this way. I want to see a comparative graph/chart/plot that shows Batman's career and all his various Robins vs. Clark and Lois' engagement, marriage, and child. Especially since the current Bats is supposed to be the N52 version, while the current Supes is the Post-Crisis, Byrne one imported from the previous universe. That's my point. People are referring to events that either changed or were erased in the switch. Superman is weirdly both now. And who knows what’ll happen once Dr Manhattan is done with the DCU. Batman was always weirdly both, wasn't he? His new 52 reboot was way softer than everyone else's up until Zero Year kind of maybe replaced Year One, and now they seem to be oscillating on which one of those is still canonical. 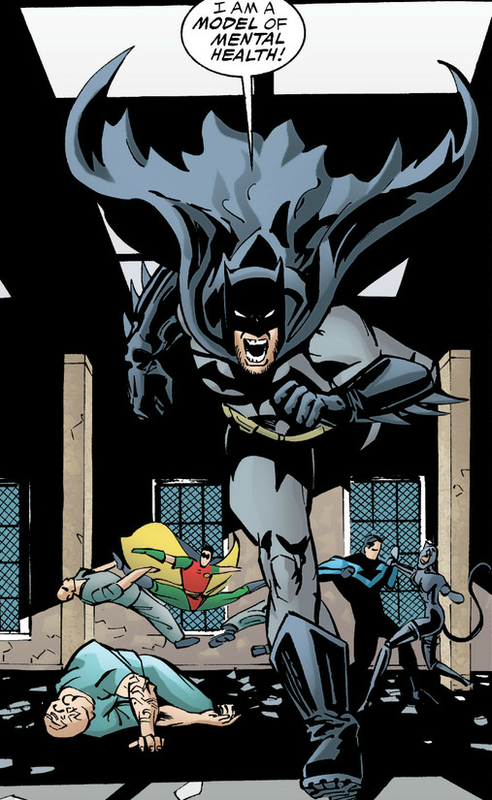 Batman’s N52 reboot was one of the hardest because it took like, several decades of bat-history and condensed it down to cliffnotes that only spanned a 5 year window. Like, basically every Robin only got one years worth of being Robin. It’s kind of insane. Also, like none of the Batgirls happened. Wait, that's STILL going on? Wasn't DC Rebirth a 2015 event? DC launched Doomsday Clock, a sequel to the critically acclaimed Watchmen graphic novel. Doomsday Clock is pretty much John's attempt at recapturing feel of the original comic in the DCU without understanding that Superman, Batman, and all the other heroes would pretty much trivialize the political conflict. Like, basically every Robin only got one years worth of being Robin. It’s kind of insane. That's also a different Batman. Possibly the same one as Dark Knight Returns, but I don't know if anyone besides Frank Miller has confirmed it. As a 36 year old, I cannot imagine being physically fit enough for regular Batmanning. I also would not trust anyone younger to be emotionally mature enough for Batmanning. 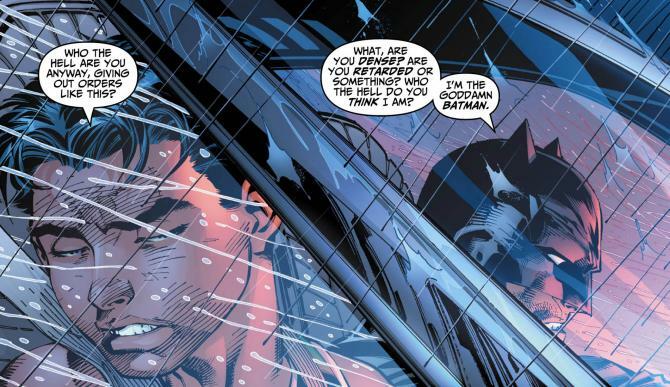 Is Batman emotionally mature, though? He’s about as emotionally mature as a wealthy man who’s hobby is to throw sharp pieces of metal at the mentally ill could be. Somehow I find it reaffirming that people are ok with a Batman who's pushing 40 and beyond. Thanks for voting!